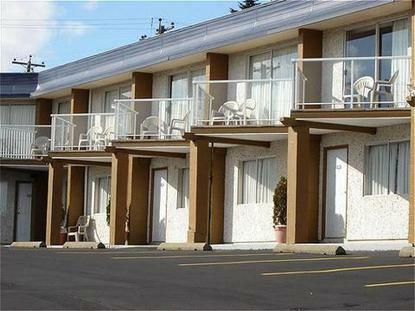 The Port Augusta Inn and Suites is located in the heart of the Comox Valley- near all amenities. All of our deluxe guest rooms are newly renovated and offer all the comforts of home. Each guest room is equipped with queen or king size beds- in-room coffee/tea- and cable TV with remote control- hair dryers- irons- free local calls- and work desks. High speed internet access and Air Conditioning are available in some rooms. Kitchenettes are also available which come fully equipped with fridge- stove and microwave. After a long day relax in our heated outdoor pool and in the morning enjoy a complimentary continental breakfast served by our friendly staff.